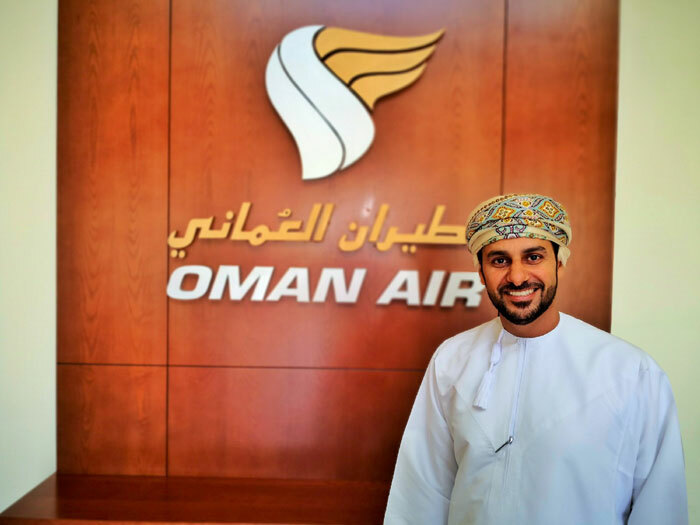 MUSCAT, Oman, 2018-Jul-23 — /Travel PR News/ — Oman Air, the national carrier of the Sultanate of Oman, is delighted to introduce Mr Ghaith Mohammed Al Darmaki as the new Oman Air Senior Vice President of the IT department. He joins the airline at a vital time of network and fleet expansion. Mr Al Darmaki, an Omani national, has a strong track record of proven success in leading teams across many effective platforms in previous IT roles. His new position will focus on ensuring the correct use of information technology across Oman Air, and developing the IT strategy in alignment with airline’s overall business strategy. Prior to his appointment, Mr Al Darmaki was the Chief Technology Officer at Awasr where he played an integral role in the company’s strategic direction, development and growth. He was responsible for the functional management of the Awasr vision and strategy. Al Darmaki has a Bachelor’s degree in Electrical and Computer Engineering from the Sultan Qaboos University and a Masters in Engineering Business Managers Program from the Manchester Business School. He also qualified from the IMD Business School in Switzerland where he completed the prestigious National CEO programme in 2018. The aim of the programme is to develop the next generation of private sector Omani leaders and executives. Oman Air continues to go from strength to strength with its strategic expansion plans. Mr Al Darmaki joins Oman Air at an exciting time, with the airline recently taking delivery of its first 3-class Boeing 787-9 Dreamliner which boasts eight private suites, and launch of new routes to Casablanca and Istanbul. This entry was posted in Airlines, Travel, Travelers and tagged appointment, Ghaith Mohammed Al Darmaki, IT department, oman air, senior vice president. Bookmark the permalink.